Nostalgia Factor: Low. This is a relatively new brand, so no childhood memories to speak of. The crust might be a little Sahara-like, but once you break through you're met with an ultra-rich and creamy cheese that makes it easily to forgive its dry exterior. 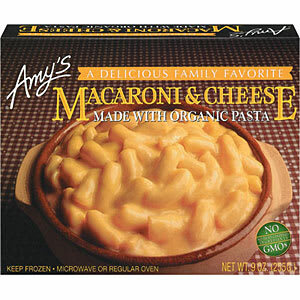 Far from thin and watery, Amy's cheese was heavy and comforting, with a spot-on real cheddar taste and aunthentic M&C texture. The only thing Amy could use is a cheaper price point, and maybe a pinch or two of salt.